Why Does SEO Matter for Startups? You’re a startup, which means you have limited resources and you need customers. Why should you bother investing in your website or worrying about Google results when you have investors to woo and sales you need to close? It’s simple: Organic Search naturally brings in highly qualified customers and leads. When someone searches for something, they are expressing a clear interest in learning more about that topic or product. The higher your website ranks on search engine results, the more likely your brand will drive qualified traffic leads. By investing in a solid SEO strategy for your startup company, you can attract qualified leads while you sleep … or while you work on improving your product and closing that investment round. Not only that, but people implicitly trust search engine results. Since 2015, Google and other search engines have overtaken traditional media outlets as the most trusted source of news and information. That means that if users find your web content or product through a search engine query, they will have a higher degree of trust than if found through another medium. More qualified leads + customer trust = startup gold. It might seem self-evident, but the key to a good startup SEO strategy is to be intentional and, well, strategic. Does my web content provide value to my target audience? Does my website answer customer’s questions? Am I using the same language as my target audience? Can people find what they are looking for on my site? 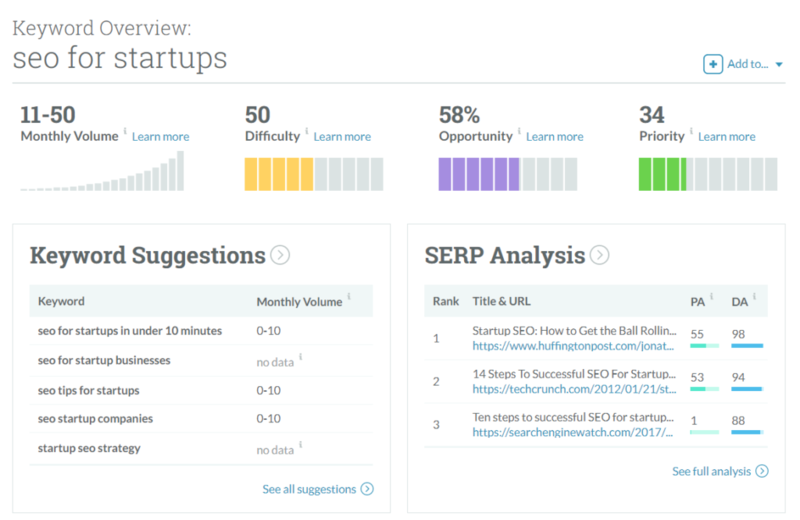 The right SEO strategy is not one-size-fits-all, even for startups. Here’s how to get started in the right direction. Before setting your startup’s SEO strategy, you need to have a clear understanding of the goal of your website. It’s important to understand which of these goals applies to your business as it will have a direct impact on the type of content, keywords, and functionality you seek to deliver through your site. Keep these goals at the forefront of your digital and SEO strategies and make sure to revisit them as your business grows and pivots! Once you figure out what the purpose of your site is, the next step is to figure out who needs to see your site to reach those goals. Not only that, but understanding your target audience is also great for driving your broader marketing and sales strategies. Keywords are the building blocks of SEO. It’s essential to target the right keywords in order to set an effective SEO strategy for your startup. The key to a strong startup SEO strategy is to determine which keywords are most important and relevant to your company and then to optimize your site for those keywords. The goal is to not only rank higher for those keywords (meaning to be higher on the list of Google results when you search for that keyword), but also to make sure that the content users find when they land on your page actually addresses what they were looking for when they started their search. 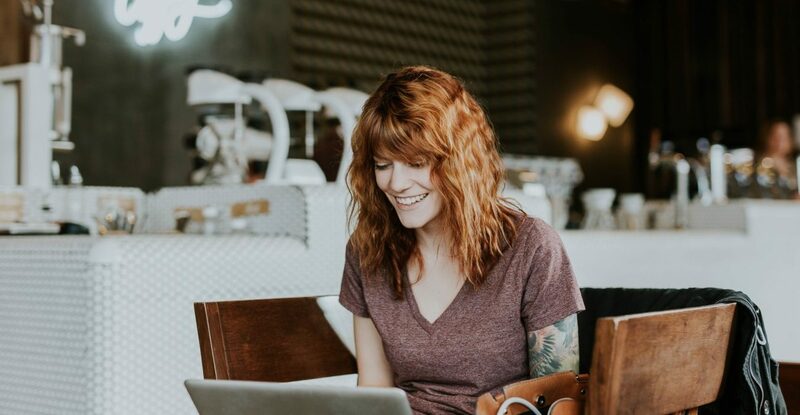 Here’s the issue for startups and small businesses: a lot of the words and phrases that are relevant to your website goals and target audience are probably extremely competitive. Since your business is young and your domain probably is too, it will be difficult for you to compete initially with more established companies and websites. For example, if you’re a startup with an innovative sales software, it is highly unlikely that you will outrank Salesforce for the keyword “sales software” anytime soon. The solution is to get creative with your SEO strategy and to focus on more nuanced, long-tail keywords like “why crm is important for organization” that are still relevant to your target audience and that will get users to your site. Though fewer people may search for these longer keywords, many of these actually convert better than broader head terms. Google Search Console, which allows you to see what keywords users are currently using to get to your site. Tools like Moz Keyword Explorer, Google AdWords Keyword Planner, Answer the Public, and SEMrush Keyword Magic, which help to generate new ideas for keywords you might not currently be ranking for. Google Suggestions and “don’t hit enter”. This means to literally start typing a keyword that you think is relevant to your business into Google’s search bar and to see what other types of queries Google suggests before you hit enter. You can then look at other features and results on the Google results page, including keyword suggestions at the bottom of the page, “People Also Ask” suggestions, and more to find related queries relevant to your brand. Audience research. Talk to customers or members of your target audience to see what they would search for, to understand what the problem is that your product or service would solve, how your audience talks about the pain point that your business addresses. If you can’t interview members of your target audience, consider checking out relevant online forums or social media conversation. Competitive analysis. Look at what keywords your competitors seem to be using or are currently ranking for. Monthly Search Volume (MSV or SV) – If you rank number #1 for a keyword that no one searches for, does it matter? This metric indicates the number of people who search for a keyword on average each month. You can find it using tools like Google Keyword Planner and Keywords Everywhere. It can still be worth targeting keywords with low search volumes, particularly if they indicate a strong user intent to convert, but you’ll probably want to save these keywords for website subpages or blog articles, and optimize pages like your homepage and product pages for higher volume keywords. Keyword competition – As a startup, your website is likely pretty new meaning you probably have a fairly low Domain Authority. That means that you are unlikely to rank for highly-competitive keywords anytime soon, even if your SEO strategy is top-notch. Use tools like Keywords Everywhere to get a sense of how competitive each keyword is. Until your site and business become more authoritative, focus on creative, lower-funnel, and less competitive queries to drive traffic. Keyword intent – You might think that a keyword is relevant to your site, but if Google isn’t currently showing sites or businesses like yours on the first page of it’s search results, it probably means that users have a different intent when they search for that query. A common example for this is keywords like “best CRM software 2017”. Sure, it would be great for you to rank well for this, but this is extremely unlikely as Google knows that what users are actually looking for when they search that query are articles reviewing and comparing different CRM options. Eliminate any keywords from your target list that don’t show competitors or similar websites in the results. You’ve got your target keyword list and SEO goals – now what? If your startup already has a strong website built out, then start by optimizing your existing pages for relevant target keywords. Ideally, you should target each keyword for only one page on your website. Pick the page that is most closely relevant to the keyword – so use broader and branded keywords on your homepage (ex. “sales software”, “sales management tool free”), and more specific keywords relevant to your products or specific services on subpages tailored to those topics (ex. “inventory and sales management platform”, “why crm is important in marketing”, “sales tracking software for small business”). If you don’t have a website yet, or if your website is just a single page, you’ll want to use your keyword research and SEO strategy to inform your sitemap and website structure. In short, create informative and useful pages for your top priority keywords with a logical and user-friendly navigation structure and with internal linking between your web pages. You’ll also want to make sure your site is technically sound. Work with a web developer who is conscious of SEO concerns, or use a user-friendly CMS like WordPress or Squarespace if you’re bootstrapping it yourself. Make sure to avoid duplicate content and pages, to make sure all internal links between your website pages work, and to submit site changes to Google Search Console. Once the bones of your website are optimized, you can start fleshing out the rest of your content and social strategy. Blog: You may decide that a blog is a good way to engage with your startup’s target audience. If so, use your keyword research to identify topics that would make for meaningful blog articles, and make sure those pages are SEO optimized for those keywords. Building Links: Links to your website are also a great way to build your startup’s SEO authority. The key is to make sure that these links are meaningful, not spammy. Don’t waste your time linking to your site on miscellaneous forums and comment boards – this might actually hurt you. Instead, develop meaningful content and resources that high-authority sites will want to link to. And if your company is mentioned in a news article, on a popular blog, or on another website, ask that they include a link to your startup’s site. Social: Social signals do have an impact on SEO, albeit somewhat limited. However, if your target audience is active on one or more social media platform, this can be a great way to drive people to your site and content. Develop a meaningful social strategy that aligns with your website goals and target audience’s behavior. If you’re an entrepreneur just starting out or fleshing out an idea, it is not a bad idea to simply drop your business or product name ideas into Google to a) see if there are other, similar companies that might confuse prospective customers b) make sure there’s not some alternative meaning to your company name that could come back to bite you, and c) see how competitive the SEO landscape will be for your startup’s brand. If you’re opting for a business name with a weird or unusual spelling, it’s also a good idea to ask someone unfamiliar with your company to type your company name without seeing it written out, particularly if you’re a business that will depend on word-of-mouth. Once you’ve settled on a company name that fits the bill, buy your domain as soon as possible and submit it to Google Search Console. This will help you start building your Domain Authority, which is a key SEO factor, and will set you’re startup up for success once you’re ready to start building out your site.